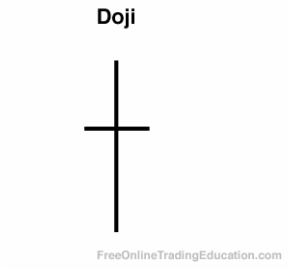 A Doji candlestick is formed when the open and close price of a bar is equal or nearly equal. 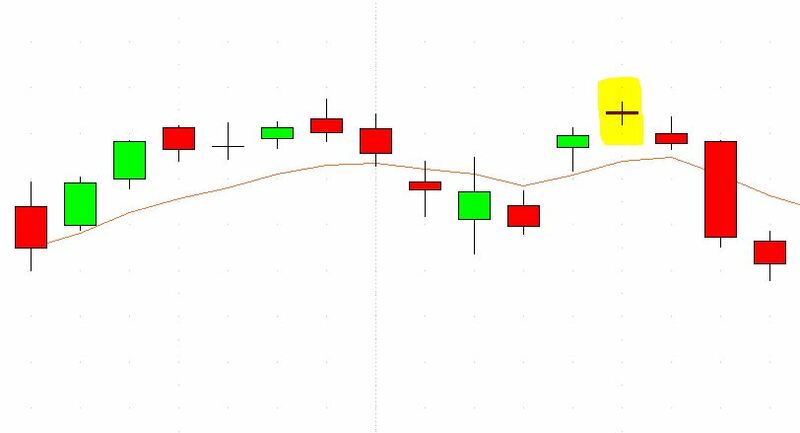 Upper and lower shadows can vary in length and the Doji indicates that there was indecision on price between buyers and sellers during the given timeframe of the candlestick. Technical analysts will watch for Doji candlesticks and often use them as buying or selling signals when in context of another chart pattern. In addition, analysts will use them for timing when to avoid buying or selling an asset.